Complications in Cosmetic Dermatology – Crafting Cures presents the potential side-effects and complications of procedures in aesthetic dermatology, with evidence-based guidance on their management. Divided into eighteen chapters, common and uncommon complications of each procedure are discussed in detail. Procedures covered include Q switched laser, laser hair reduction, injectable botulinum toxin, mesotherapy, and chemical peels. The concluding chapters focus on the prevention of ocular complications in cosmetic dermatology, and managing medical emergencies the office. 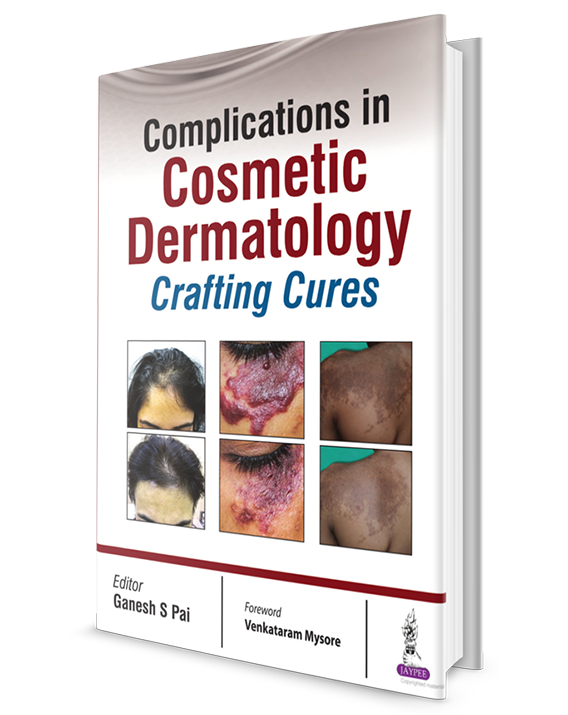 Each chapter in Complications in Cosmetic Dermatology – Crafting Cures is supplemented by clinical pearls and a summary of key points, and the text is enhanced by 300 full colour images and illustrations.